Agents acting under a power of attorney act in a representative capacity, meaning they step into the shoes of the principal when they make transactions on his behalf. Thus, when an agent signs a credit card receipt for the principal, it is as if the principal signed it himself. Unless the agent signs in his own personal capacity or is acting outside the scope of his authority under the terms of the power of attorney document, he is not liable for the charge. 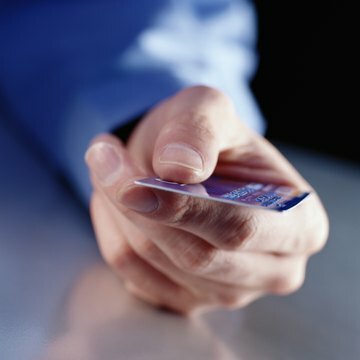 Though an agent may have made many of the charges on a principal's credit card, the principal remains legally liable for the charges, meaning the credit card company can bring a suit against the principal. The agent could be listed in the lawsuit, but as long as he was acting properly in his representative capacity, he cannot be held legally liable. If the agent was acting outside his authority, however, he could be held personally liable for the charges.